Nelson’s mechanical engineers specialize in accident investigation, failure analysis, and damage assessment of mechanical systems and equipment in commercial, industrial, healthcare, educational, hospitality, and residential applications. They are experts at identifying errors in the design, construction, operation, control, and maintenance of mechanical systems and equipment. 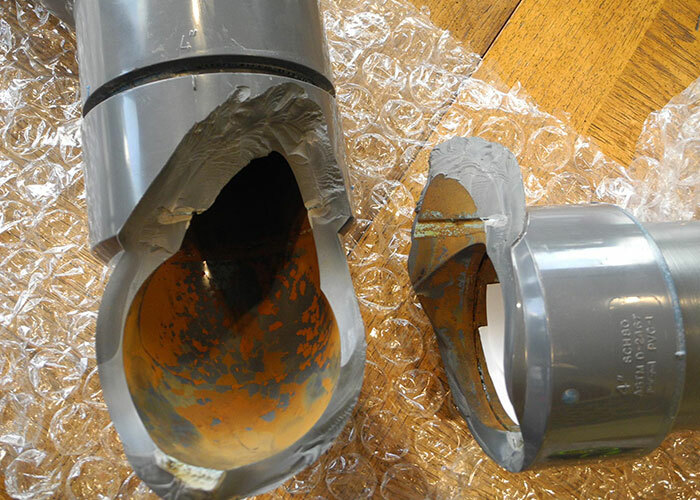 They determine the origin and cause of accidents, explosions, and fire events involving mechanical equipment, and they investigate equipment and machinery breakdowns and material failures. 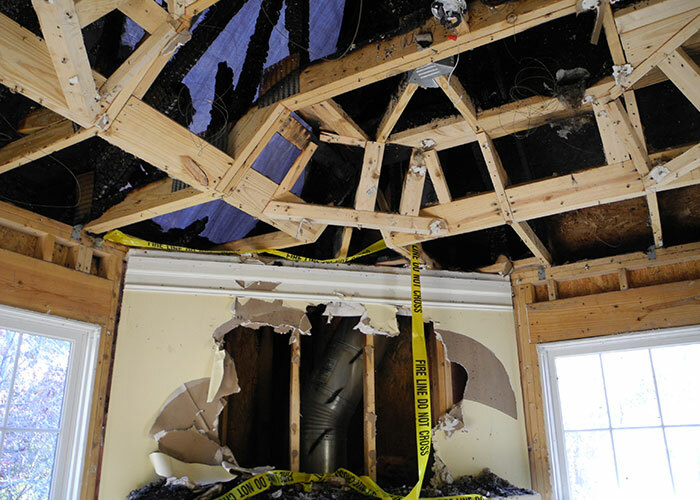 They also perform damage assessments of mechanical systems and equipment that have been exposed to perils such as fire, explosion, freeze, flood, wind, rain, hail, hurricane, lightning, mold, and water intrusion. Nelson’s mechanical engineers are experienced in evaluation of industrial, manufacturing, HVAC, refrigeration, plumbing, and fire protection systems along with industrial and process machinery, heavy equipment, HVAC and plumbing equipment, and elevators. 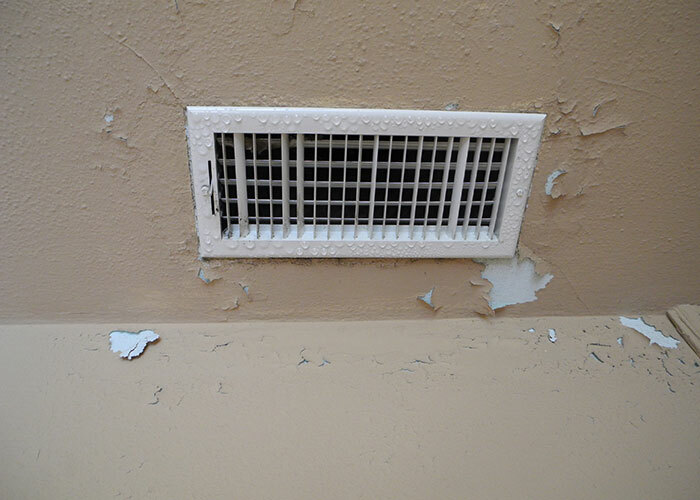 A building began experiencing inadequate cooling, high relative humidity (RH), and surface condensation on the supply air registers after its heating, ventilating, and air-conditioning (HVAC) system was replaced. Nelson’s evaluation determined that the system was undersized for the required application. 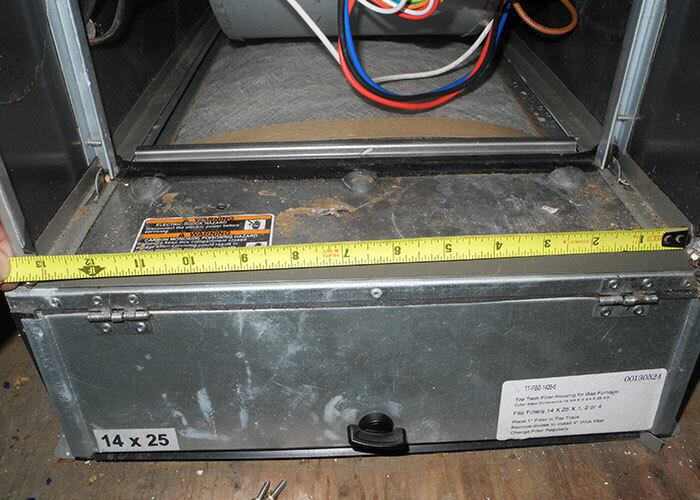 As a result of the undersized furnace blower, the furnace was unable to provide the design supply air volume. 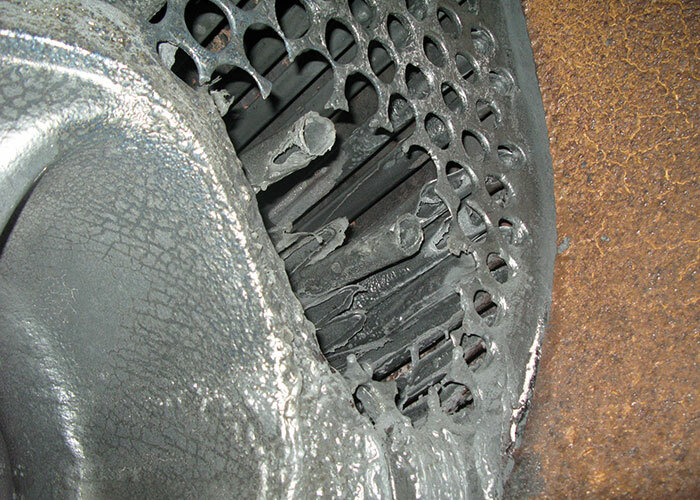 With less than design airflow, the thermostatic expansion valve at the evaporator coil was throttling down to maintain the evaporator coil superheat, and the reduced refrigerant flow resulted in decreased system cooling capacity. The high RH and condensation on the registers was directly related to the decreased cooling capacity. 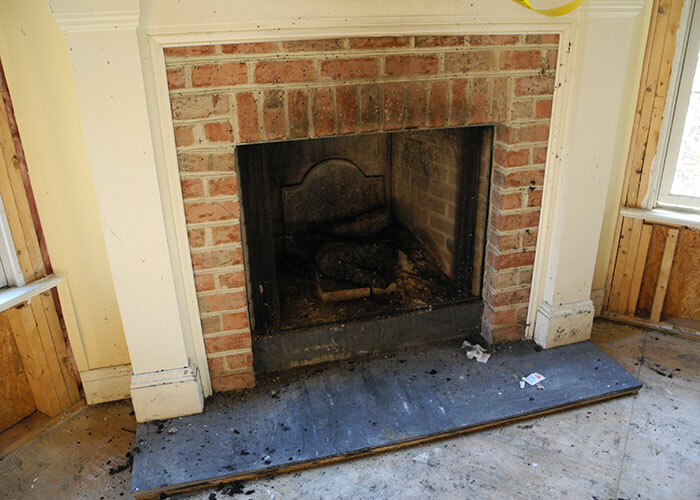 Nelson was asked to determine the origin and cause of the fire event that occurred, ironically, at a wood burning fireplace in a residential structure. The building was constructed and occupied four years prior to the fire. 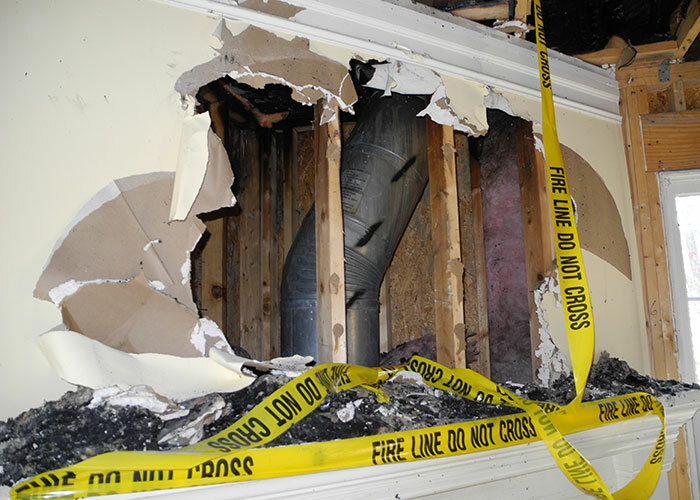 Nelson examined the fire scene and determined that the fire originated in the attic space directly above the fireplace at the ceiling firestop. 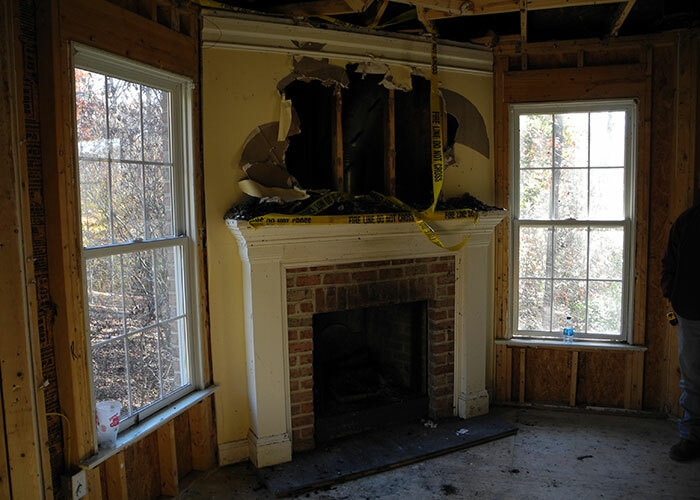 The fireplace was a manufactured metal fireplace with a factory-built double-wall metal chimney, and Nelson confirmed that the chimney sections and ceiling firestop, installed at the attic penetration, were properly installed. 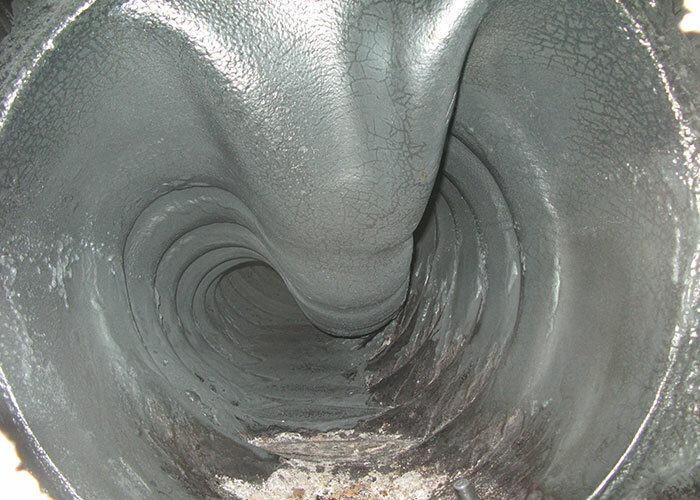 However, the required attic insulation shield was not installed above the ceiling firestop; therefore, the required 2 inch air gap between the hot chimney and the combustible cellulose attic insulation was not maintained. 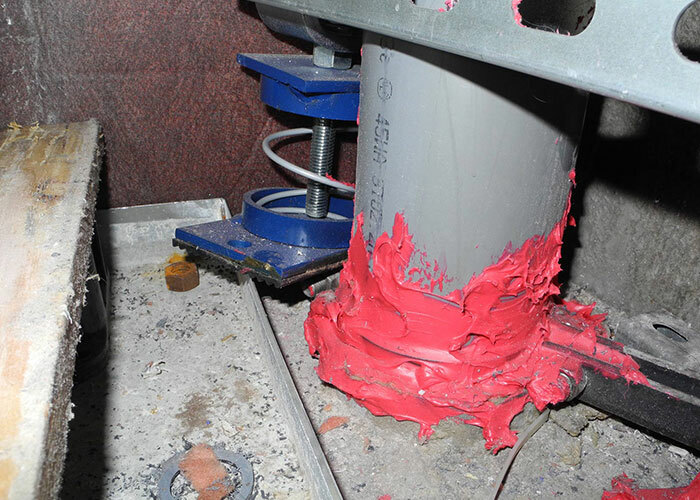 The insulation that was inadvertently in contact with the hot chimney surface was heated every time the fireplace was used, and finally ignited on the night of the fire event. 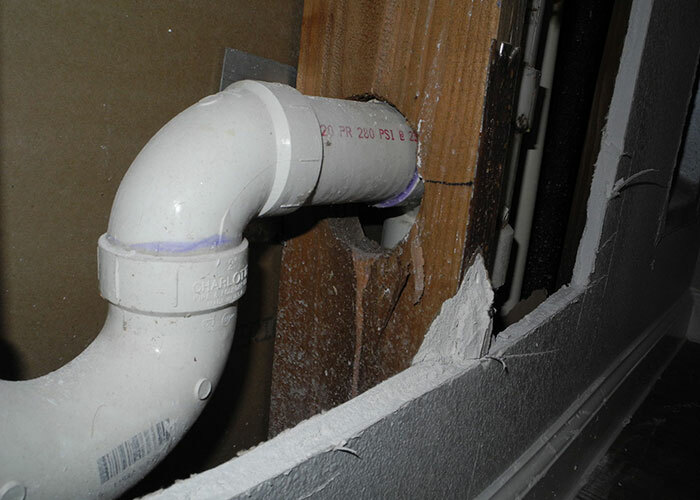 A building suffered severe water damage when a PVC pipe fitting failed on a condenser water riser. Nelson’s mechanical engineers determined that the rigid riser support system could not compensate for vertical riser displacement caused by normal thermal expansion and contraction of the risers that occurred with condenser water temperature variations. 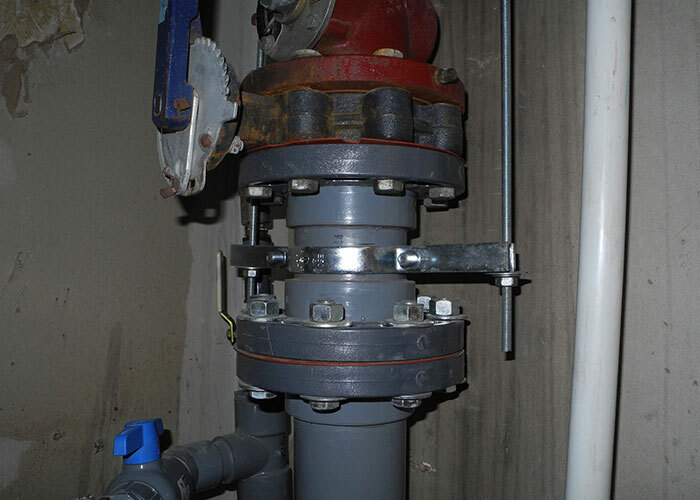 A five story apartment complex began experiencing sanitary drain piping failures in the upper floors shortly after construction was complete. 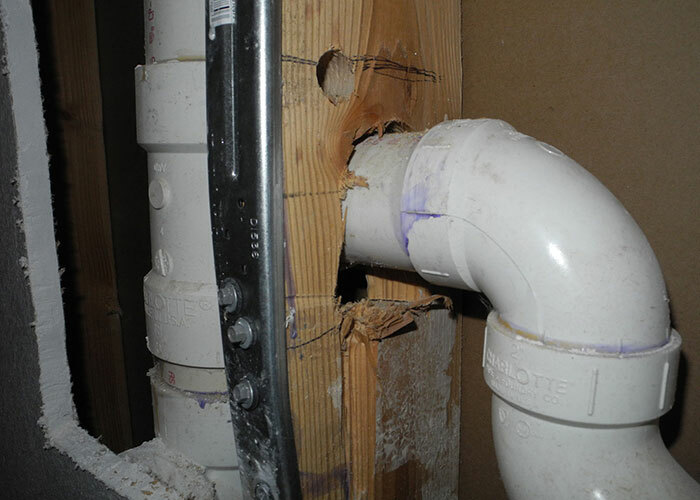 The polyvinyl chloride (PVC) branch pipes located inside the wood stud walls were breaking at their connection to the riser pipe. 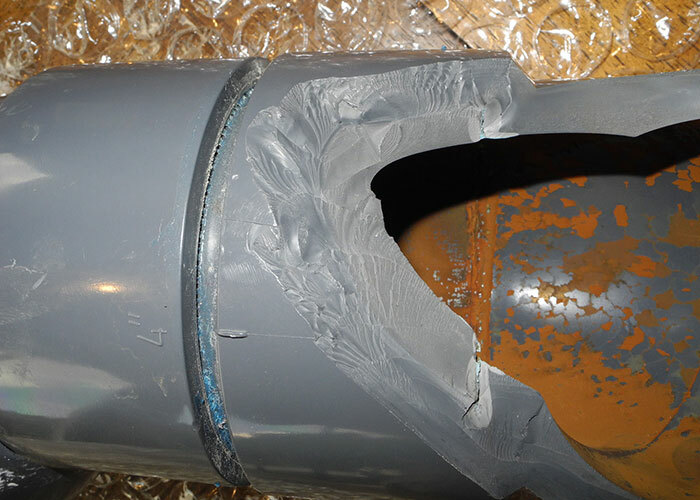 Nelson was asked to evaluate the piping failures and determine their cause. 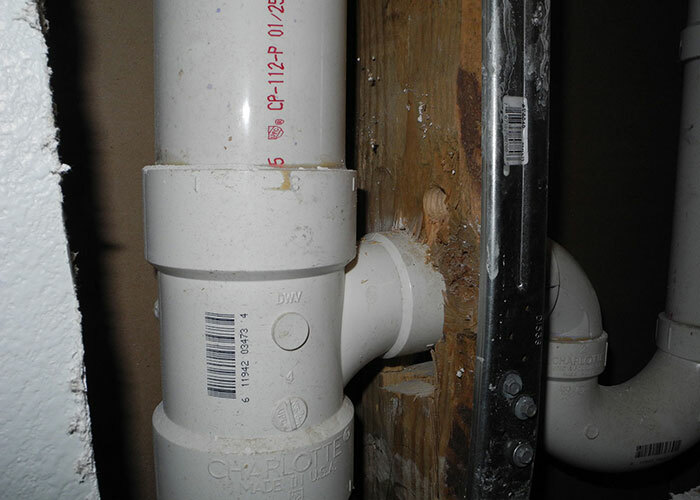 The pipe fitting failures were directly related to the interference condition between the branch pipe and the clearance hole in the wood stud, and their concentration on the top floor of the structure indicated structural shrinkage of the wood structure, a cumulative condition that manifests on the upper floors of a wood structure. Nelson reviewed the construction documents and discovered that the design team had, in fact, failed to provide the construction details necessary to compensate for the expected shrinkage. 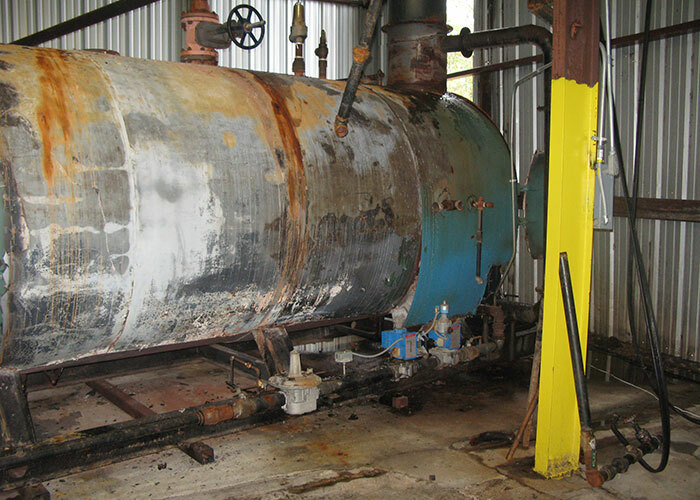 A high pressure steam power boiler was discovered to have failed catastrophically during unattended overnight operation. 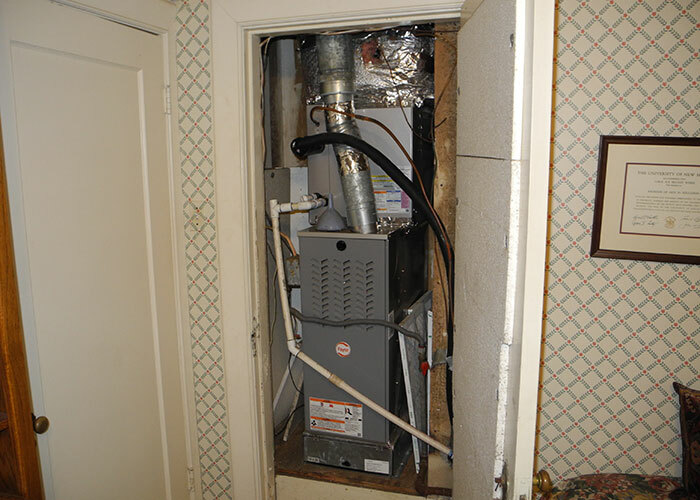 Nelson was asked to evaluate the boiler system and determine the failure cause. 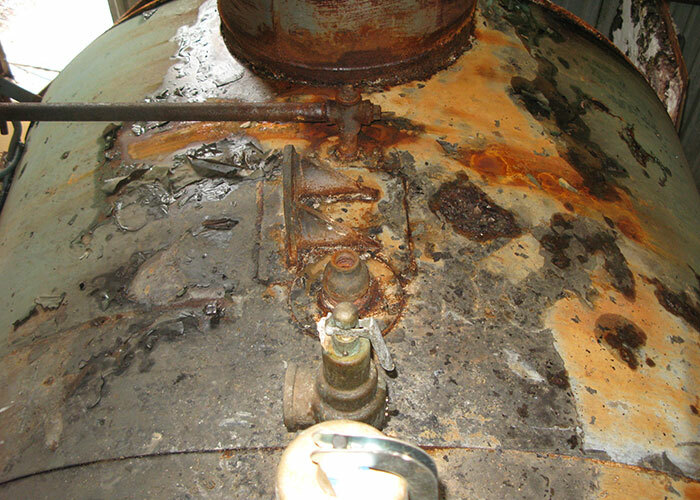 Nelson discovered that the boiler had experienced a dry-fire event, where it continued to fire with a low water level, resulting in the catastrophic failure of the boiler. 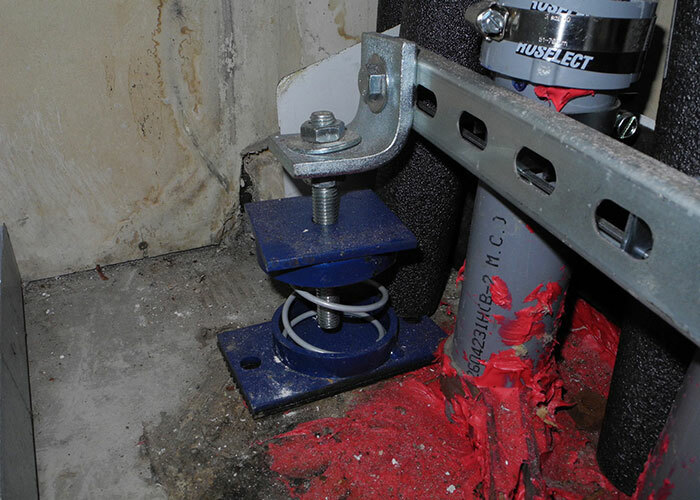 The makeup water supply was interrupted, but both the primary and secondary water level controls were in a failed state; they failed to sense the low water condition and shut the boiler down. 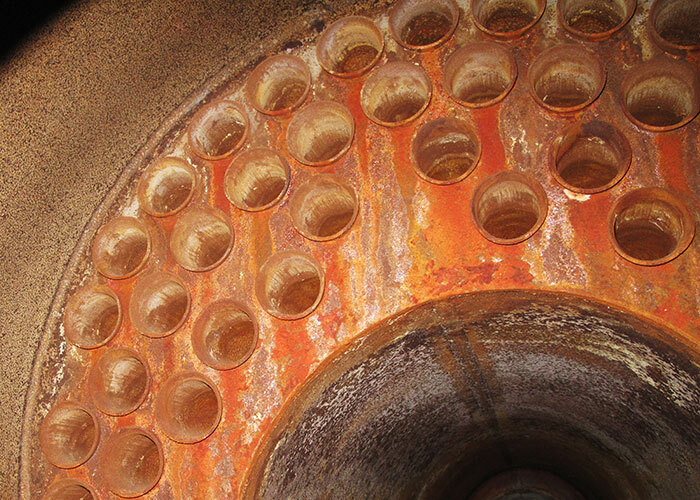 When the water level dropped inside the boiler shell, the exposed steel fire tubes and the corrugated steel furnace tube overheated and melted.